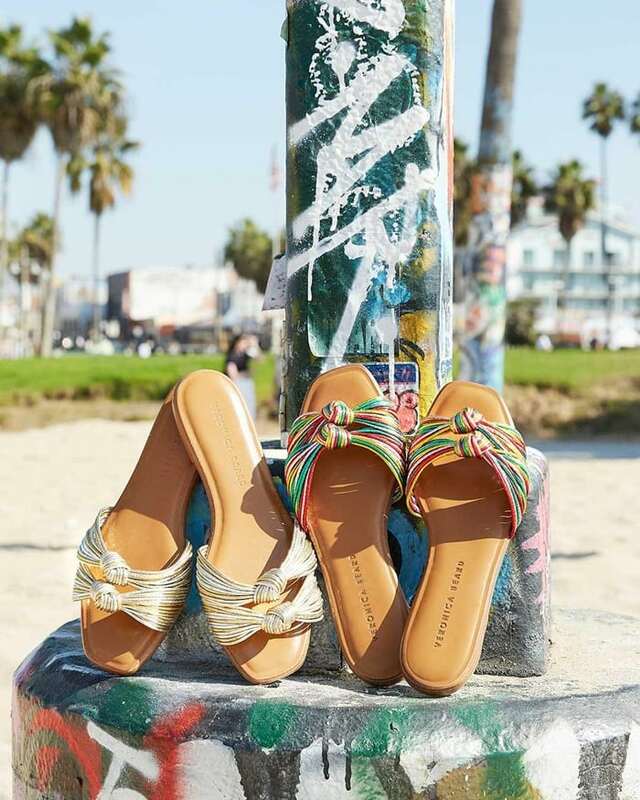 Available in rainbow and gold mix, nautical-inspired knots adorn the Gemma sandal from designers Veronica Miele Beard and Veronica Swanson Beard, the sisters-in-law and founders of Veronica Beard. 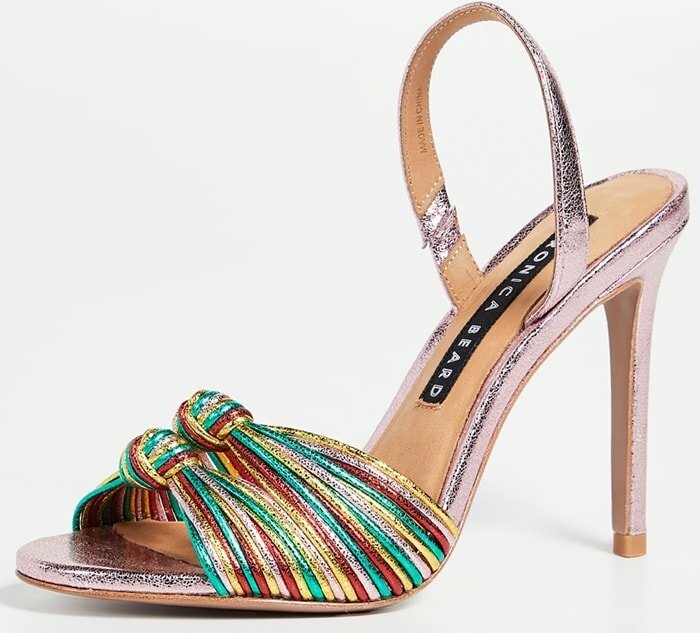 You can buy these slide sandals with double knot design at Bergdorf Goodman, Shopbop, Neiman Marcus, and of course at Veronica Beard. Made modern by a minimal silhouette and shimmering finish, they recommend that you wear this metallic leather slide sandal with the season’s shorts, jeans, and skirts. This style runs large and the designers suggest sizing down a half size. We also like the high heeled version that you can shop at Veronica Beard, Shopbop, Nordstrom, and Bergdorf Goodman. It features a stiletto heel, knotted accents, and a sling-back strap. Slim metallic straps are gathered and knotted together at the toe of a dazzling evening sandal set on a tall stiletto.